The base left with problems in the knee and speaks of up to 6 weeks low. Landry Shamet's spectacular debut with the Clippers. The season of the Boston Celtics is one of the rarest that is remembered. They started it as big favorites from the East, they messed up losing games at the beginning of the course until flirting with staying out of the top eight, they reacted with a run of results and game (or at least statistics) almost perfect, but every once in a while when they hit a hard-to-explain romp. This night, beyond Kyrie Irving's injury, it's very disturbing. Go winning at home by 28 points in the second quarter to a team that just lost its best player and let out the victory with a regrettable second half should make all the alarms jump. 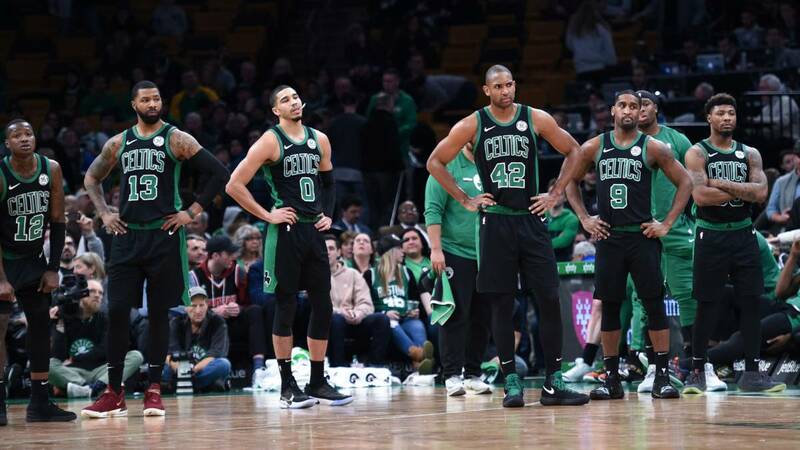 And more if you listen to the words of Marcus Morris after the game: " I see all those other teams in the league with their guys standing on the benches ... They enjoy everything, they play together and they play to win. we only see a group of individuals, it has not been fun for a long time ". Irving was on the court 14 minutes, in which he scored 14 points. In the second quarter, when trying to overcome a block of Ivica Zubac, who debuted with his new team, twisted his knee slightly. He continued limping a few minutes until in an attack he stepped on the foot of a defender and hurt himself again in the same place. He did not return anymore. Luckily it was not the knee that has been operated on twice. Everything points to a sprain and lack to know the degree of it, but there is some information that suggests that it could be important and that the player could be more than a month off the courts. Meanwhile everything worked perfectly. Rozier took the relay (16 + 5 + 3 + 2) and until Hayward plugged in (19 + 5 + 3). From here who can explain the total disconnection of the Celtics in the second part. The third quarter was horrible, getting only 12 points. The accumulated of the second half was 38-70 in favor of the Clippers. An outrageous barbarity. First was Lou Williams (15 + 3 + 6), then Montrezl Harrell (21 + 6) and finally and in the last quarter Landry Shamet, newcomer from Philadelphia, who finished the comeback. The rookie put 17 points with four triples in seven attempts, three of them linked to put their own ahead for the first time in the game. It is the second time this season that the teams of Los Angeles overcome a disadvantage of 25 points, in this case 28, the largest in the history of the franchise. It is the first team in the last 20 years to recover two disadvantages like that in the same season. And all the good things that it had for the Clippers had it bad for the Celtics, which already is the sixth time in that same season they lose a match they were winning by more than 25 points. No other team has passed more than three times.